The Province of Massa Carrara is situated in the northernmost part of Tuscany, not far from well-known places such as the Golfo dei Poeti, the “Cinque Terre” and Tuscan art cities like Lucca, Florence and Pisa. Here, nature has created a perfect harmony between land and sea. The Apuan Alps, famous for their marble quarries, overlook the Mediterranean. The excellent geographical position and the exceptional variety of the territory make this part of Tuscany a paradise, the appropriate destination for any type of tourism. Many tourists, in fact, enjoy making the most of the seaside accommodations in Marina di Massa, which is the most famous sea resort of the area. The Province is made up of two twin towns, precisely Massa and Carrara. The current town of Carrara rises on the area built to house the workers in the marble quarries created by the Romans in the early 2nd century BC. In fact, what really attracted Romans then, and tourists today, was the precious and famous, white marble which, as well as designing the dramatic skyline of the region, is full of artistic suggestions from Michelangelo up to Henry Moore. The twin towns were ruled by the Malaspina family, until, after the struggle between the Guelphs and Ghibellines, they finally formed the Duchy of Massa and Carrara from the 15th to the 19th century. After a visit to the quarries one might be interested in exploring the towns centres and visit, in Carrara, the white marble Romanesque Cathedral or the 16th century Ducal Palace, now the seat of the Fine Arts Academy, whereas in Massa a must are the 15th century Malaspina Castle, overlooking the city from a hill, and the Renaissance Ducal Palace on the picturesque Piazza Aranci, the square of the orange trees. The province of Massa Carrara, furthermore, offers an uncontaminated nature to be experienced at first hand. In just a dozen of kilometres one can leave the sunny beaches of Marina di Massa, Ronchi and Poveromo, and arrive directly to 1000 metres above sea level by car, or even trek to 1500 metres, on the breathtaking Apuan Alps and look down on the white marble quarries and the coastline. Towards the north, the province stretches through the Lunigiana, an unpolluted mountainous area abounding in castles, medieval villages, excellent restaurants and wild nature; thanks to this enchanting situation, there is a wide offers of lovely holiday apartments in the Lunigiana. This combination between sea and mountain can also be savoured in the local cuisine. From the typical stockfish in the “massese” style to the stuffed mussels, from the tordelli (similar to ravioli with a meat or vegetable filling) to the lasagne tordellate (the pasta used for lasagne with meat sauce), as well as the rice pies (in both versions: savoury and sweet). Last, but certainly not least, the typical product of this territory, the popular lard, Lardo di Colonnata, cured for months in basins made of the local marble with rosemary and other spices. It used to be the main poor food of marble workers in the old good days. Nowadays it is trendy to taste it simply on a piece of toasted local bread, or with small, juicy tomatoes or better still with a drop of local chestnut honey. An inseparable experience in a journey to Massa Carrara. This holiday accommodation in Tuscany is located in the heart of Lunigiana, an area in the north, rich in history and uncontaminated nature and is an ideal place for a relaxing holiday. Originally belonging to the noble family of the Tognolis, one can find their coat of arms painted above the fireplace of the bedroom. The B&B consists of two old stone buildings which lodge the bedrooms and the restaurant. Each room is spacious and has a living room corner with sofa and fireplace as well as a beautiful view. The furniture is typical of this area. These rental apartments in Tuscany enjoy a wonderful view over the valley and the beautiful Castel dell’Aquila (Eagle Castel) of Gragnola, which at 2 km is the closest village where one can find shops and a supermarket. Aulla, an important city of Lunigiana where the motorway entrance is located, is only 15 km away. In Equi Terme, 8 km, there is a spa and an interesting cave under the Apuan Alps. 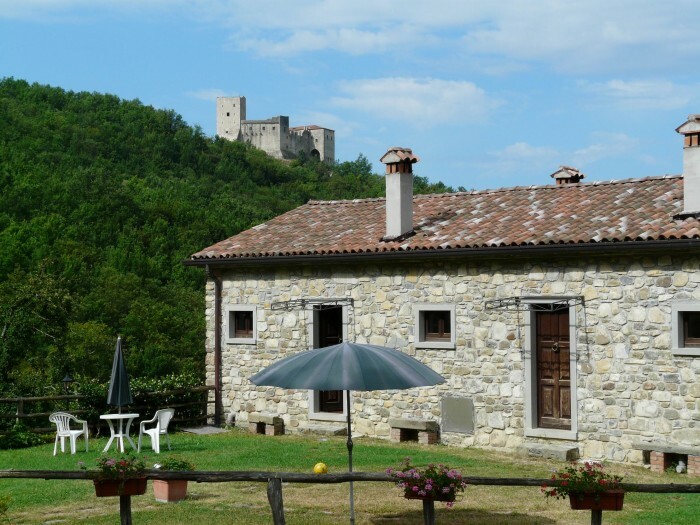 Surrounded by olive groves and vineyards this holiday home in Tuscany is on the hills of Lunigiana at 3 km from the beautiful medieval castle of Fosdinovo, once of the Malaspina family. The farmhouse is part of an organic farm and the renovation has followed the same natural principles of the farming, preserving its original structure and details as in the stone and fired brick walls and floors, the white Carrara marble and the wooden beams. The B&B consists of 3 double bedrooms on the ground floor, in one of which can be added an extra single bed, with private bathrooms with shower and air conditioning, plus the Suite, on the first floor, very large, with a sitting room with double sofa bed, a double bedroom, bathroom with shower, air conditioning and a terrace with a superb view over the valley. The farmhouse also rents two holiday apartments. 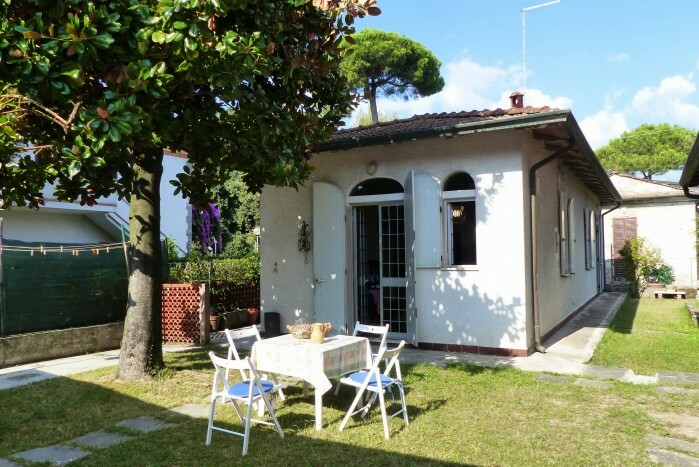 This lovely holiday home is located in Marina di Massa, in Via Pisa, just outside the town centre, in a quiet neighbourhood with many facilities. The house is at 700 metres from the seaside and within a distance of 50 to 400 metres one can find a supermarket, food shops, various restaurants, bars renowned for their breakfasts and aperitifs, ice cream parlours, a bank and various other shops. 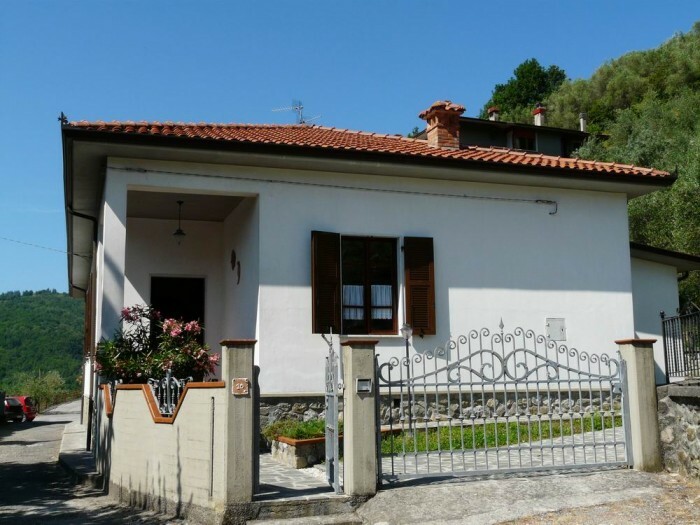 The accommodation, 75 sqm, is a detached house with private entrance and garden fully equipped with outdoor furniture and a barbecue. Entirely on the ground floor, the house has direct access into a large living room with kitchen and dining area. The kitchen is fully equipped with a 4-burner gas stove, oven, fridge-freezer, dishwasher, toaster, kettle and washing machine. The living room has a digital TV and a large sofa bed. A corridor leads to bedroom/bathroom area. On the left there are a two-piece bathroom and a bathroom with a shower cabin. On the right there is a double bedroom with a large wardrobe and a window overlooking the garden. At the end of the corridor there is a bedroom with twin beds, of which one is a pull-out bed, with access on one side to a small terrace and on the other to the garden. Internet Wi-Fi supplied. 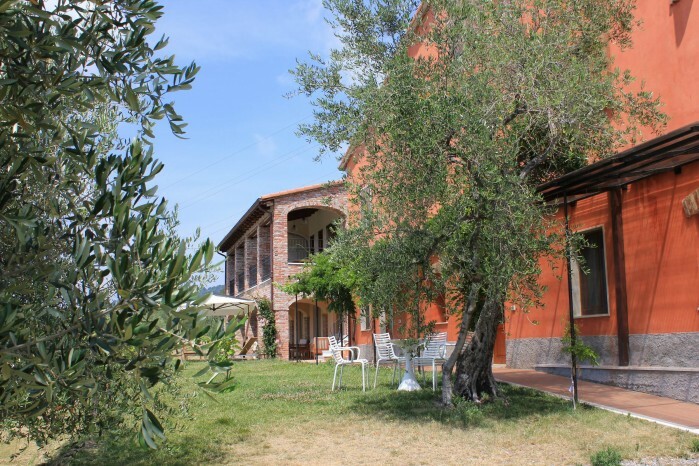 On the same premises there is another house where the owners live, in total respect of guests’ privacy but keen to offer a convenient support for info or more for an entirely enjoyable Tuscan holiday. Free car park on the street. This lovely and independent apartment is located in Cinquale, right between the seaside towns of Forte dei Marmi and Marina di Massa, pearls of the Tuscan coast, which are both at 4 km. This holiday accommodation is located in very quiet street at 1600 meters from the beaches (at local seaside resort Bagno Fernando, guests can also benefit of a 10% reduction on beach umbrellas and deckchairs service). On the first floor of a detached villa (a family lives on the ground floor), the apartment, 100 sq m, is very nicely furnished and also has a large private garden fully equipped with outdoor furniture and a barbecue for alfresco dining. It can comfortable accommodate 4 people. Entrance room with fireplace. On the left there is a fully equipped kitchen (gas stove, oven, fridge with freezer, toaster, kettle, microwave) with dining table. On the right side of the entrance there are a small double bedroom, a bathroom with bathtub fitted with shower head, and a large double bedroom. Opposite the entrance there is a large living room with TV, and access to a 20 sq m large balcony. Facilities: washing machine, hair dryer. Private car park on the street in front of the house. A supermarket is at only 300 meters, as well as restaurants, a bank and a laundry. Pisa and Lucca are 40 km away. The train station is at 5 km. 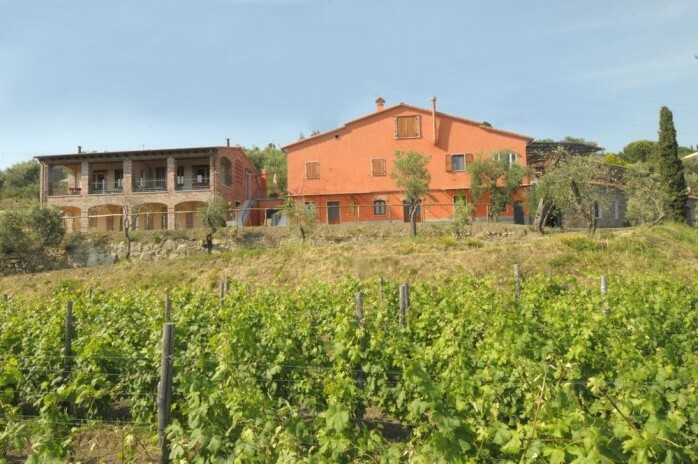 Surrounded by olive groves and vineyards these holiday apartments in Tuscany are on the hills of Lunigiana at 3 km from the beautiful medieval castle of Fosdinovo, once of the Malaspina family. 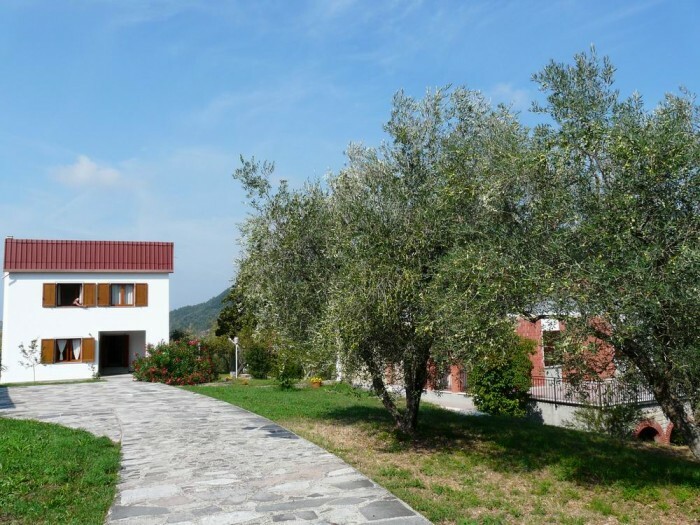 The farmhouse is part of an organic farm and the renovation has followed the same natural principles of the farming, preserving its original structure and details as in the stone and fired brick walls and floors, the white Carrara marble and the wooden beams. The agritourism consists of 2 apartments which can comfortably accommodate 6 people each. Both on the ground floor they have a sitting room with double sofa bed and fully equipped kitchenette, a double bedroom, a twin bedroom, a bathroom with shower and a terrace with a superb view over the valley. Air conditioning in both flats. The farmhouse also rents rooms as a Bed & Breakfast. This villa in Codiponte is located at 3 km from the beautiful hilltop hamlet of Casola in Lunigiana, a peaceful medieval village with a lovely 8th-century pieve. The villa consists of two independent apartments, of which the holiday flat has a view over the pieve. Recently renovated, this apartment is comfortable and elegantly furnished. On two floors, it consists of a large living room with fireplace, kitchen, double bedroom, twin bedroom, bathroom fitted with bathtub/shower and laundry room on the upper ground floor. On the first floor with a mansard roof there is a twin bedroom and a bathroom fitted with shower. Outside there is a garden and a private car park. 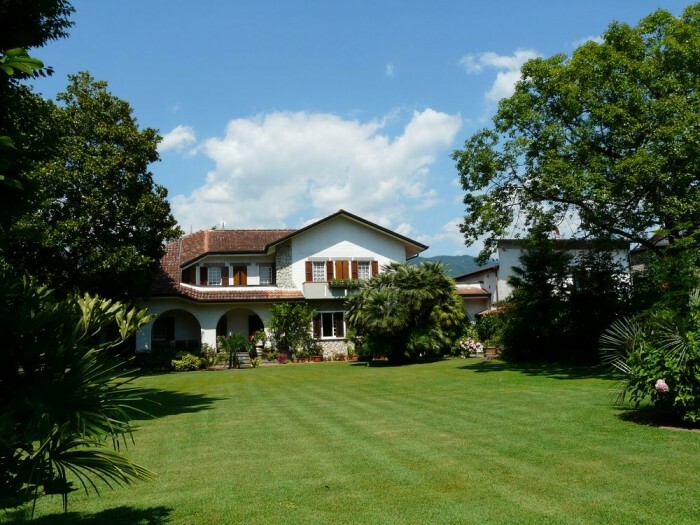 This villa for rent in Lunigiana is situated on a hill, surrounded by olive groves, with a beautiful view. An ideal location for those seeking peace and quiet but also a perfect point of departure for visiting the beautiful attractions this part of Tuscany can offer. Apart from the medieval pieve of Saints Cornelius and Cyprian founded in 793, Codiponte also has a 17th-century bell-tower, whereas the medieval hamlet of Casola in Lunigiana nearby has a beautiful 13th-century church, later restored in Baroque style, and an ancient tower and gate. While at 6 km are the famous sulphurous hot springs of Equi Terme, also renowned for its magnificent caves, located in the Cultural Park. 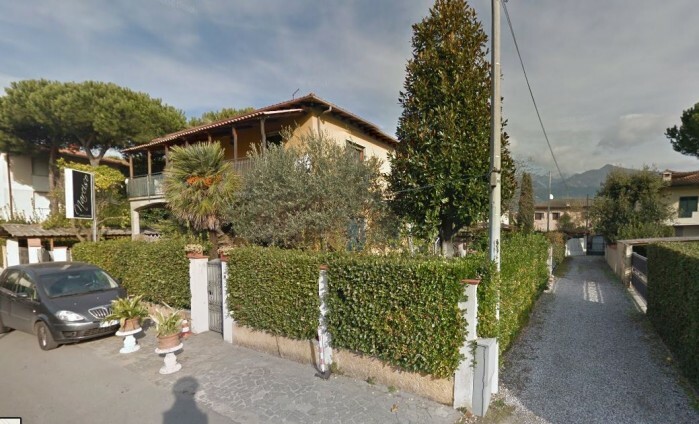 This beautiful detached villa with swimming pool in Versilia is located at 4km from the sea towns of Forte dei Marmi and Marina di Massa, pearls of the Tuscan coast. The nearby village, Cinquale, offers a wide selection of restaurants and bar cafes. 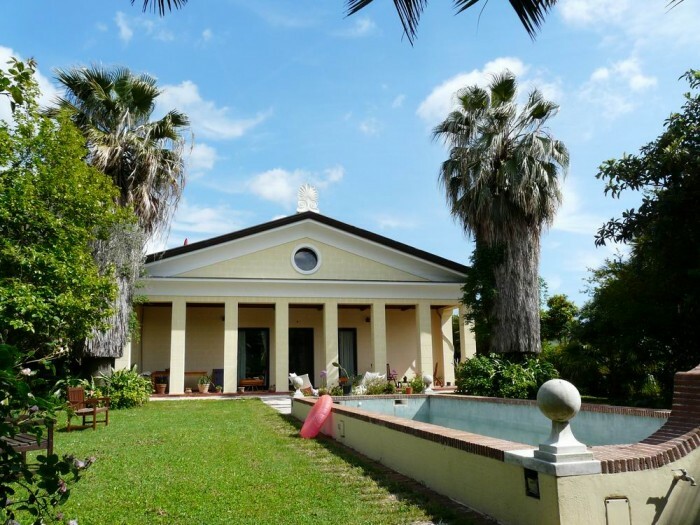 The villa, with a large garden (5000 sq m) and private swimming pool (10x5 m, open June-October), is located at 1,5 km from the beach (Guests can benefit of a 10% reduction at local seaside resort Bagno Fernando). At guest’s disposal also bicycles, large barbecue and private fenced car park, internet Wi-Fi connection, fans. Pets welcome. The house, 600 sq m, is on two floors and has 6 bedrooms and 6 bathrooms with elegant furnishing. Ground floor: access from the large garden or from the backyard where the swimming pool is set in a private location. Large, luminous living room with Sat-TV, large dining room, small sitting room, one small and one large kitchen (oven, 3 fridges with freezer, dishwasher, toaster, kettle, coffee machine, microwave), a laundry room, and a large covered terrace, ideal for al fresco dining, opening onto the garden. A bathroom with shower. A beautiful wooden carved staircase leads to the first floor, with balcony and view over the mountains. These lovely apartments with swimming pool in Massa are in a beautiful villa located at the feet of the Apuan Alps, in the suburban area of the medieval town of Massa (northern part of Tuscany), whose history has its origins in the 10th century. From Massa one can easy reach Pisa or Lucca (50 km both) as well as the Cinqueterre at 50 km. The beaches of Marina di Massa are only 4,8km away. This villa for rent in Tuscany has a large, wonderful and blooming garden, abounding in fruit plants at guest’s disposal. An elegant and original swimming pool 10x3 (up to 2,20 meter deep, open May-October) is set in the garden, as well as a table tennis table and barbecue. Private car parking. Washing machine. These holiday accommodations in Lunigiana are located near the beautiful hilltop hamlet of Casola in Lunigiana, 40 km north of both Carrara and Massa. Just outside the village, in a quiet and secluded area, the accommodations consist of two detached villas which can be rented separately or together. One villa is on two floors and can comfortably accommodate up to 5 people. The accommodations are surrounded by a large garden and olive grove. At 300 metres there is also a stream where one can enjoy pleasant walks and seek shade from the hot summer days. Small pets allowed. These villas for rent in Tuscany are in an ideal location for those wishing to spend a quiet and pleasant vacation in the countryside. The medieval hamlet of Casola in Lunigiana has a beautiful 13th century church, later restored in Baroque style, and an ancient tower and gate. At 2 km is the lovely village of Codiponte with its 17th-century bell-tower and the medieval pieve of Saints Cornelius and Cyprian founded in 793, whereas at 6 km are the famous sulphurous hot springs of Equi Terme, also renowned for its magnificent caves, located in the Cultural Park.